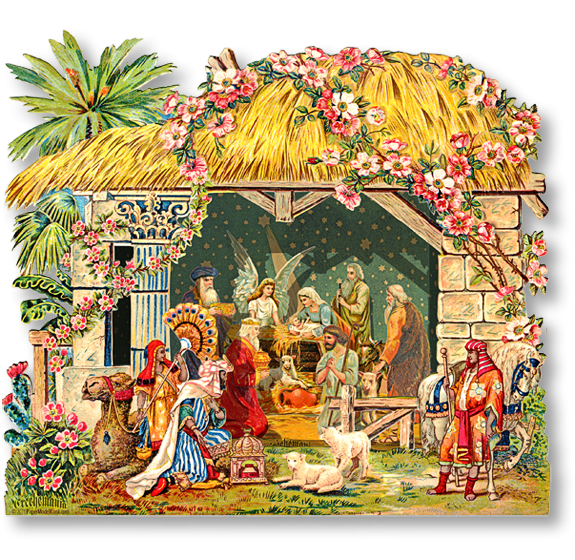 One of the most beautiful crèches in the Crèchemania Collection, this vintage early 1900's fold-out Egyptian Crèche will surely also become one of your favorites. Size: 7 x 6.25 x 1.25 inches. Buy Egyptian Crèche as part of a collection, and save!